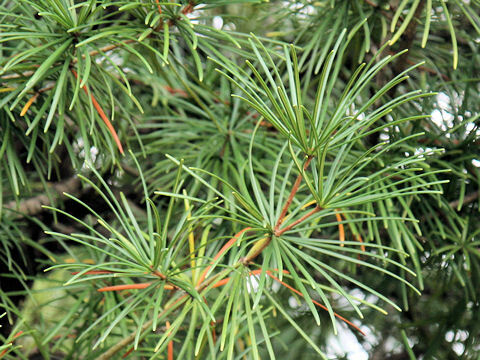 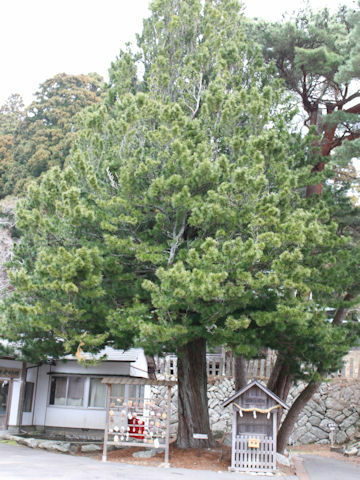 The Japanese umbrella pine (Sciadopitys verticillata) is an endemic species to Japan, and the sole member of the Sciadopityaceae (the Japanese umbrella pine family). 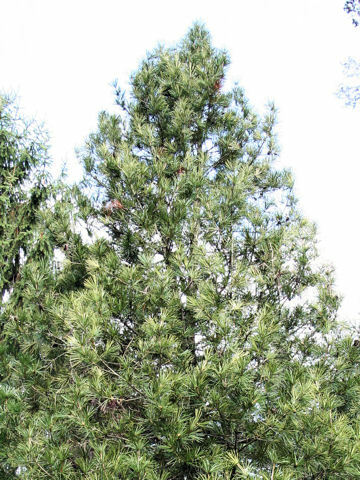 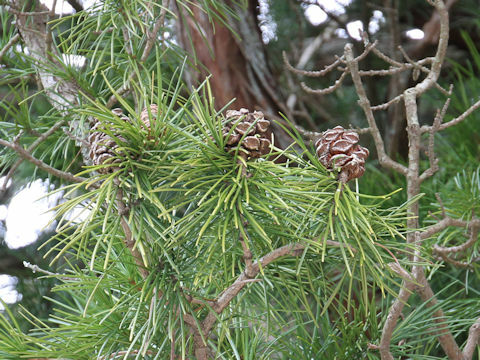 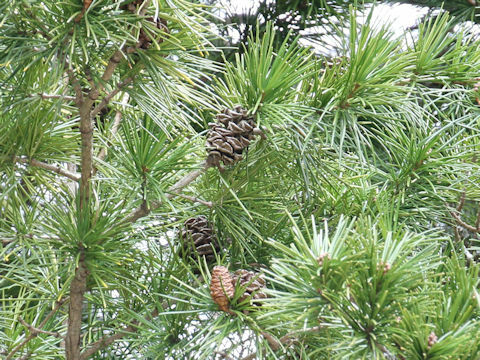 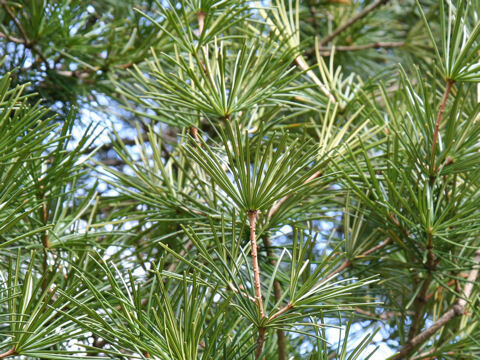 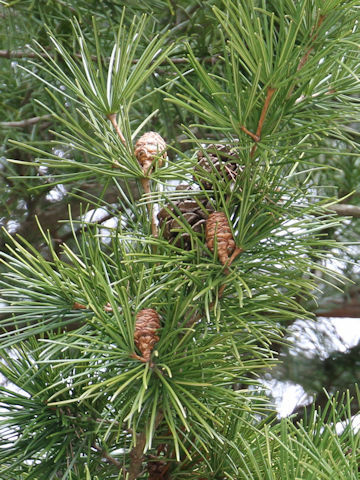 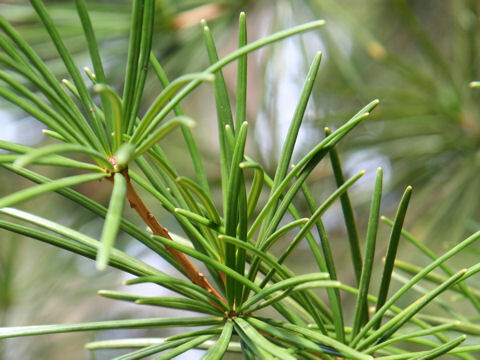 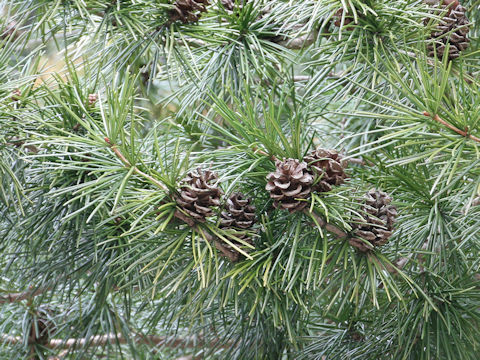 It is a tall evergreen tree that is distributed from northern Honshu south to Shikoku and Kyushu. 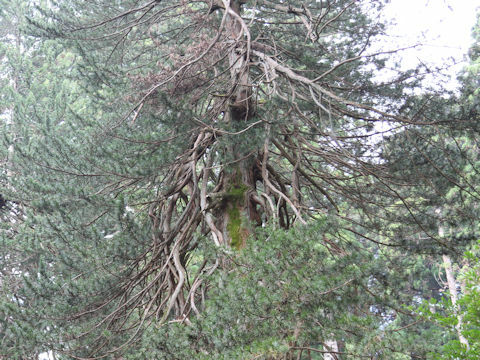 This tree grows in scrag of mountains, and can reach up to 30 m in height. 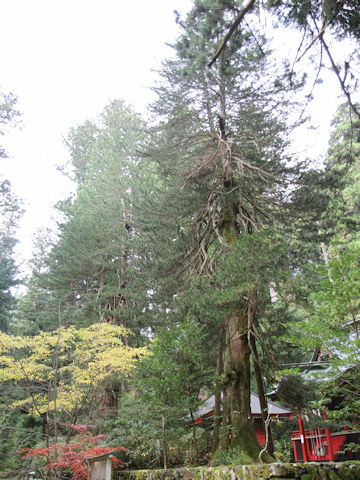 The trunk is erect and spreads horizontal branches. 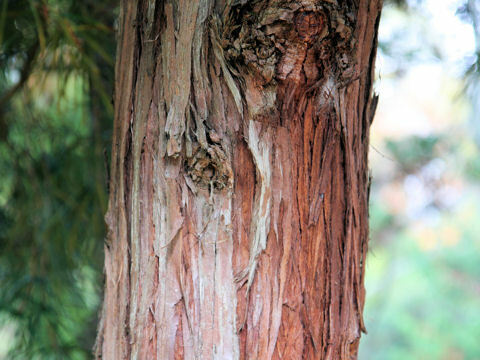 The bark is reddish brown, and is torn in long shreds. 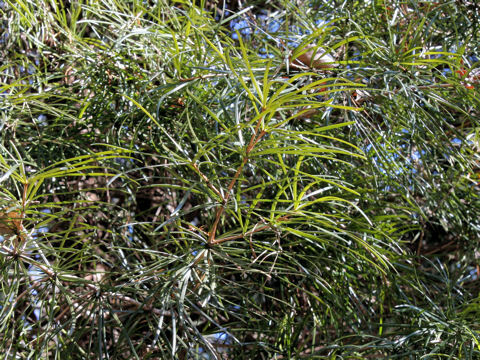 The leaves are dark green and connated two linear leaves. 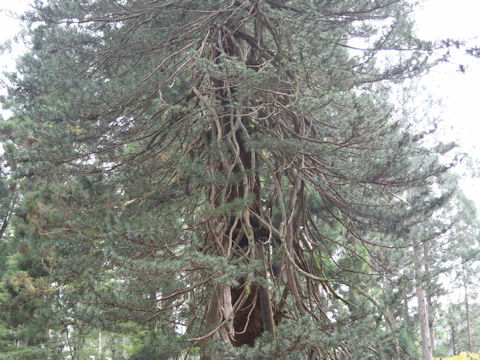 They crowd like a whorl of 20-30 at the end of twigs. 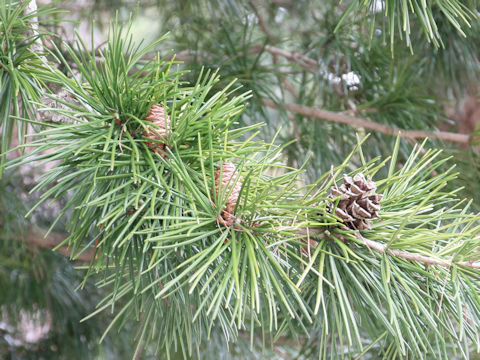 In April, male and female flowers are born on the end of branches. 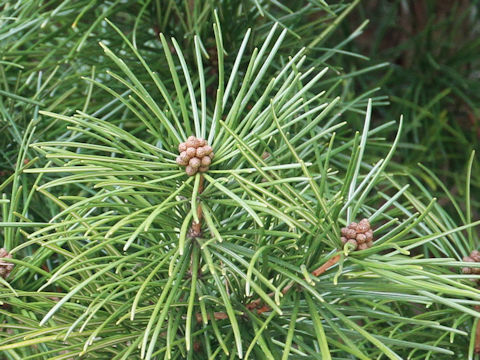 The fruits are elliptical cones, mature in next year's fall.